Nature has always held an abiding allure for people, offering many marvels that we strive to comprehend and conquer, or simply ponder and peruse. With intelligent thought, design and technology, engineers and architects have surmounted numerous challenges in order to provide new perspectives on nature. 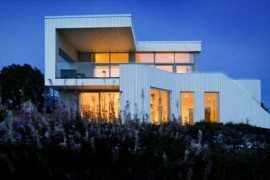 Viewpoints and vantage points are especially attractive design propositions. Those with unusual forms and gravity defying angles capture our imagination, affording countless pleasing views of nature’s magnificent bounty. The recent solar eclipse—a total eclipse visible within a band across the United States on 21 August 2017—was a reminder of our desire to view and observe the power of nature. The following physical viewpoints each give viewers a chance too interact with nature in different ways. 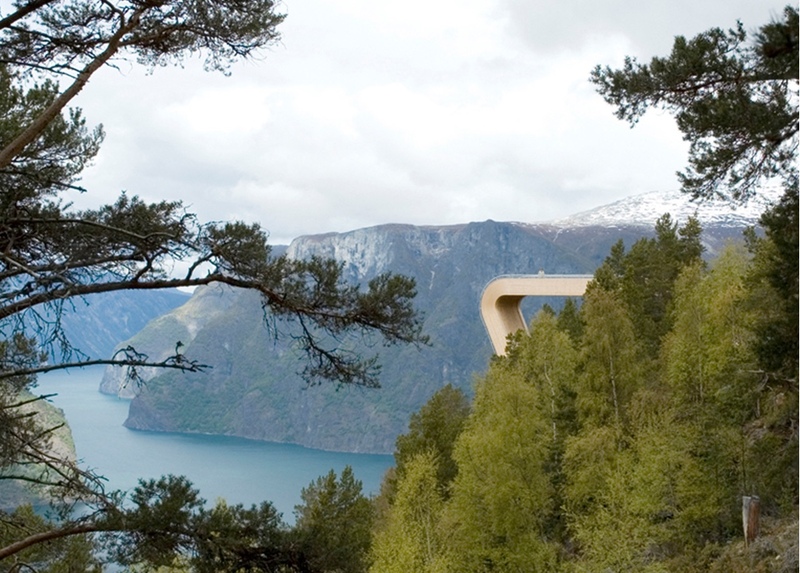 Offering a majestic vista, Aurland Lookout is an architectural marvel. Located in Aurland, Norway—a country crammed with spectacular fjords, lush forests and great mountains—the lookout was designed by Bergen-based (a practice established by Canadian architect Todd Saunders in 1998). 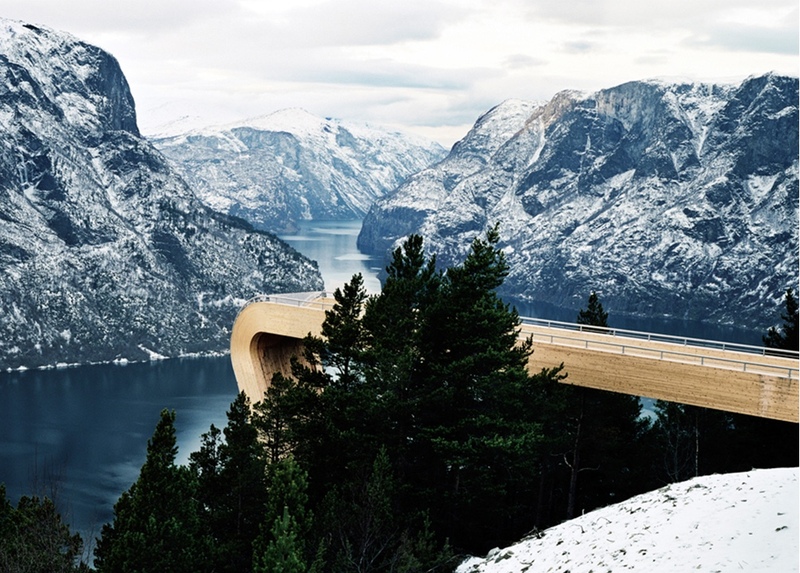 Aurland Lookout by Saunders Architecture. 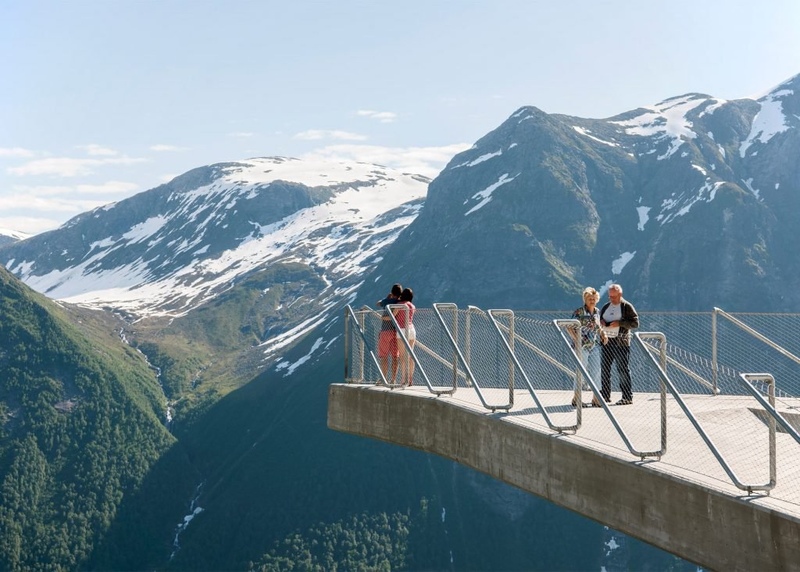 Completed in 2006, Aurland Lookout is referred to by the architect as ‘a walkway into the void’ and a ‘piece of architectural theater.’ The lookout measures thirty metres in length, and a 1.2-metre-high glass balustrade protects visitors from a sheer, vertical drop. Beyond this transparent barrier, the view of the fjord and mountains is breathtaking. Photos by Bent René Synnevåg, Nils Vik. Courtesy of Saunders Architecture. 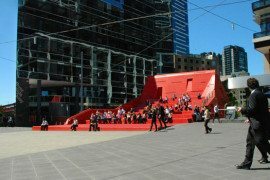 Devil’s Corner was designed in 2015 by Australian architectural practice . Located in Apslawn, Tasmania, Devil’s Corner is one of Tasmania’s largest vineyards. A project for Brown Brothers, Devil’s Corner incorporates a cellar door, lookout and marketplace. 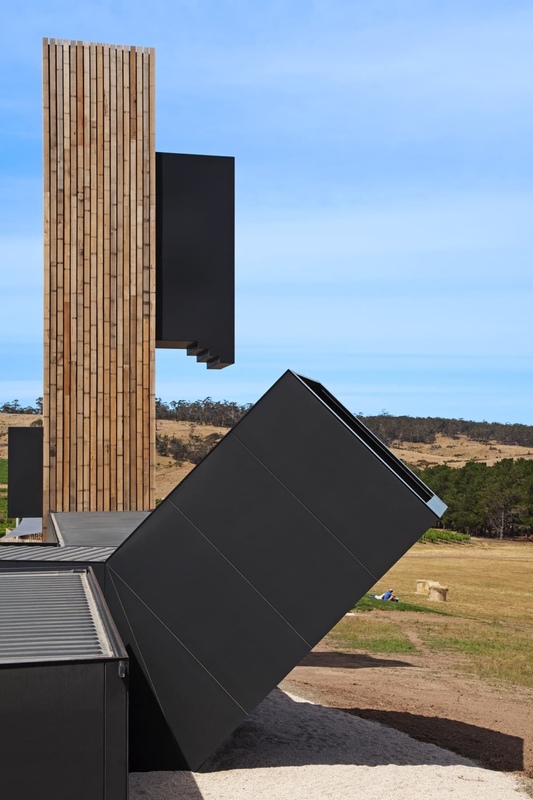 Created using a a series of timber clad shipping containers, the lookout encourages visitors to explore the vineyard through a number of curated views. Devil’s Corner by Cumulus Studio. 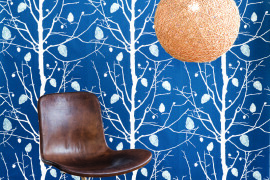 Photos by Tanja Milbourne © Cumulus Studio. 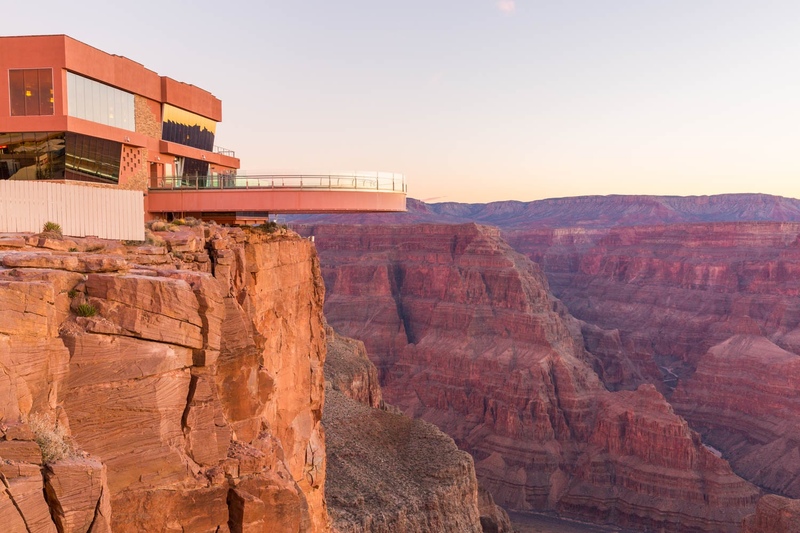 The horseshoe-shaped Grand Canyon Skywalk is a see-through, cantilevered bridge. Jutting out seventy feet from a side canyon in Grand Canyon West, the Skywalk is elevated at a dizzying 4,000 feet above the Colorado River. 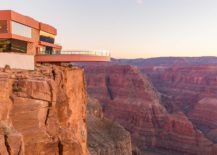 Designed and engineered by Lochsa Engineering & MRJ Architects, the Skywalk was commissioned by the Hualapai Indian Tribe who manage it as a way to accrue money from tourism. The Grand Canyon Skywalk in Arizona. Photo © . 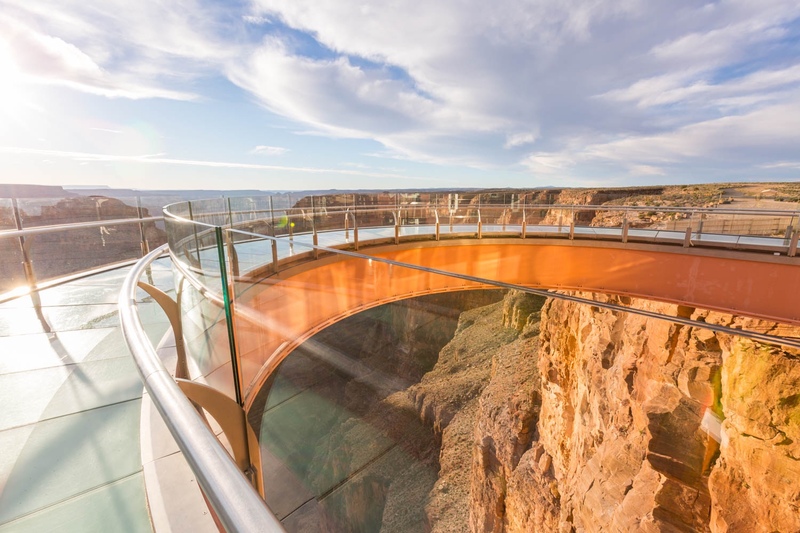 The Grand Canyon Skywalk. Photo © Grand Canyon Resort Corporation. 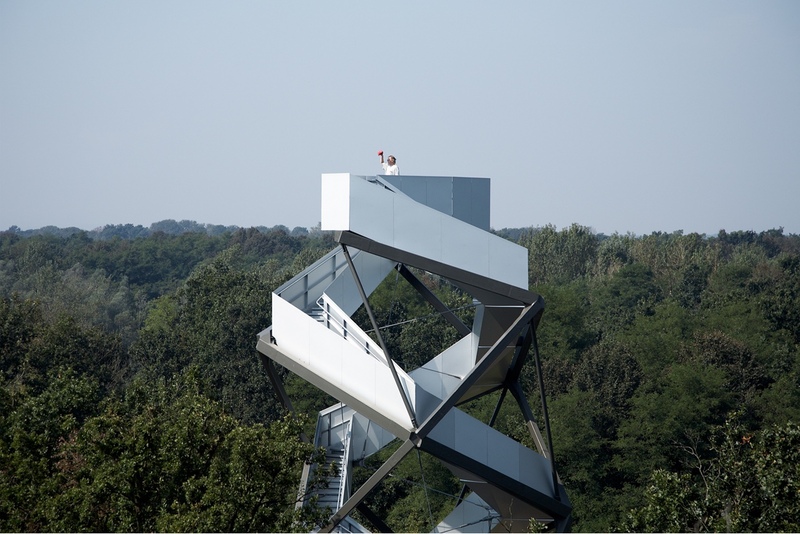 This viewing platform by Austrian architect , was created for the EXPO 2000 in Hanover, Germany. 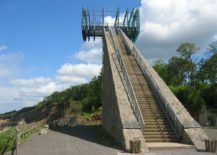 Curiously sited on the border of an old quarry, the platform juxtaposes a statuesque staircase made using quarry stone with a spectacular cantilevered glass and steel platform. 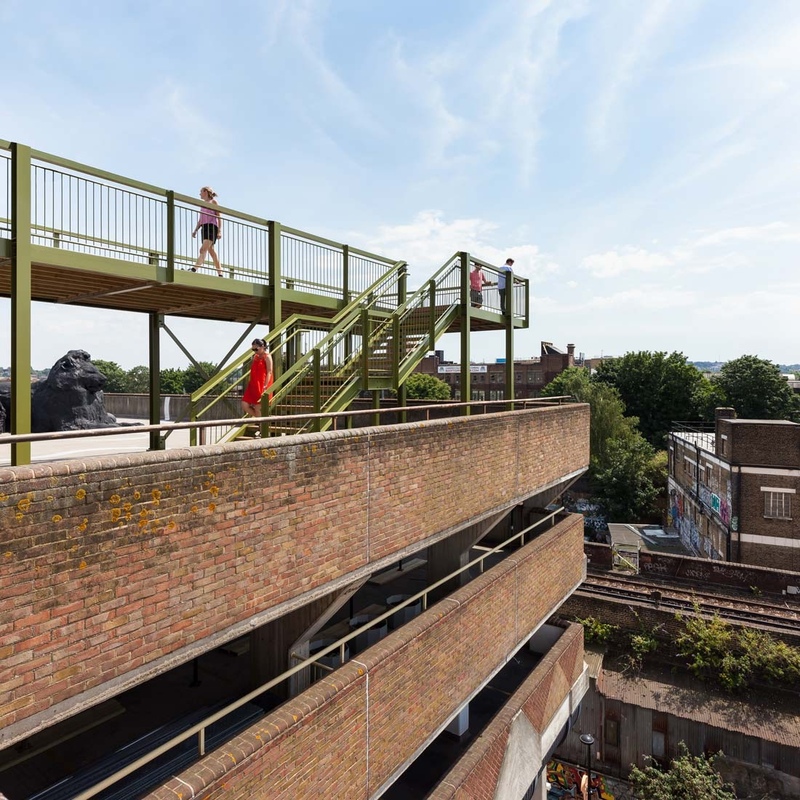 Architectural studio designed a 3.5-metre-wide and thirty-two-metre-long raised platform, that spans the width of a multistorey car park in Peckham, south-east London. 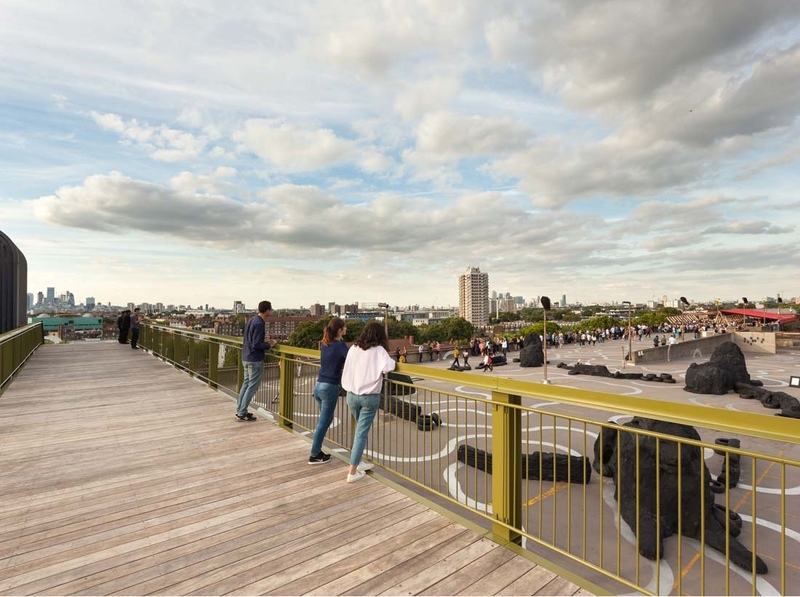 Sited on the car park’s rooftop deck, the elevated steel and hardwood timber promenade was completed this year. 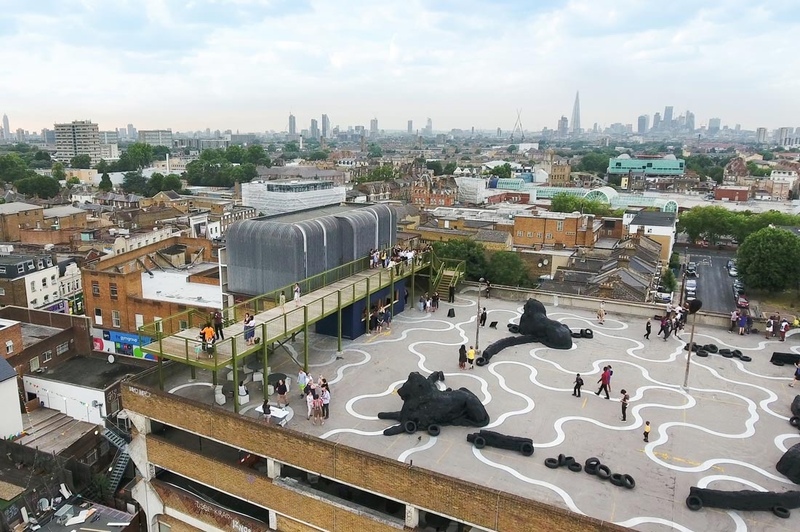 Called the Peckham Observatory, it offers views across the London skyline as well as the capital’s much overlooked southern neighbourhoods. Peckham Observatory by Cooke Fawcett. 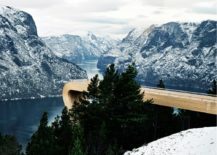 Photos by Peter Landers Photography © Cooke Fawcett Ltd.
Another Norwegian lookout, was designed by Oslo and Bodø-based . 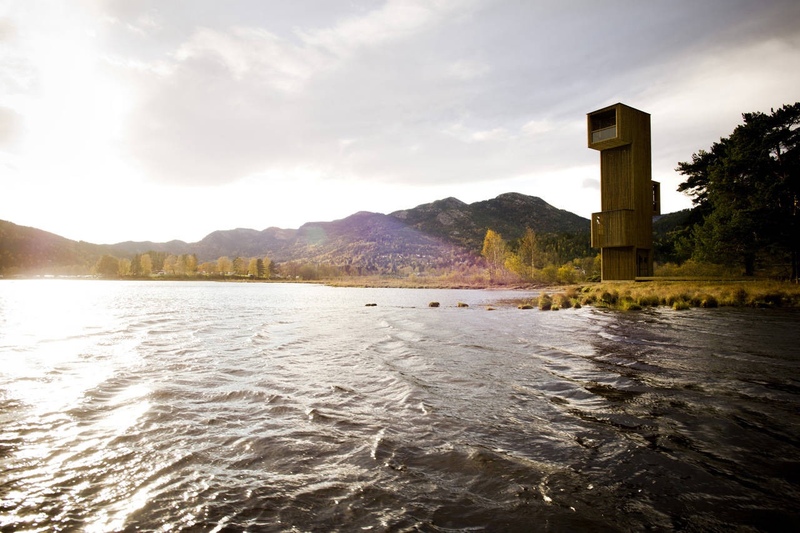 The watchtower was partly conceived and installed as a tribute to ‘Selma’, a legendary sea serpent living in the adjacent lake. 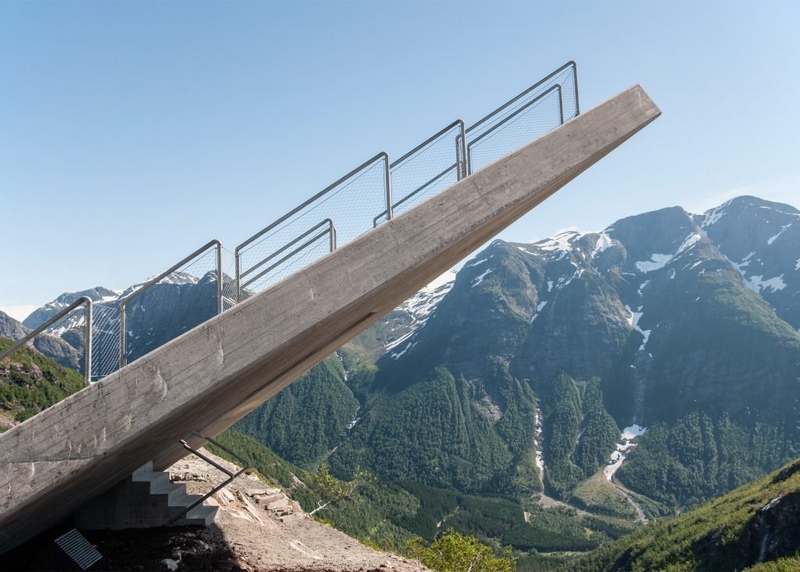 Seljord Watchtower by Rintala Eggertsson Architects. 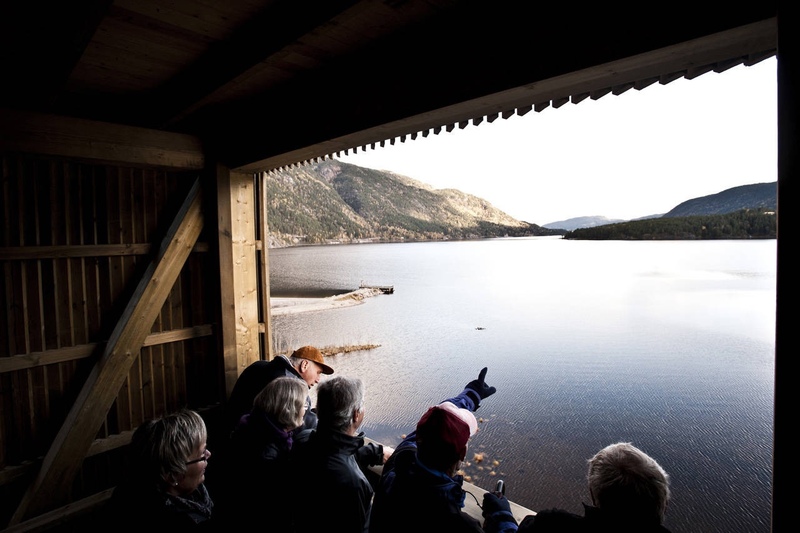 The Seljord municipality is often visited by tourists, locals and avid bird-watchers. 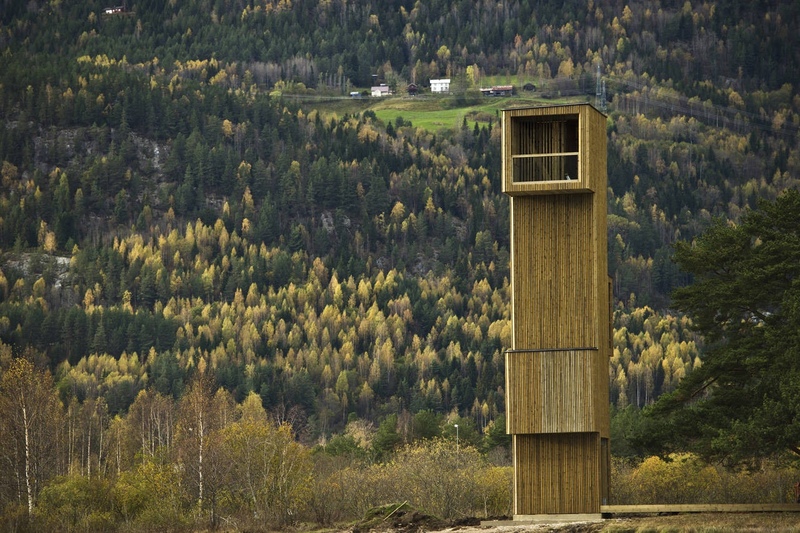 The twelve-metre-high tower has a periscope-like appearance and three lookout points: one at the tower’s apex, looking across Seljord lake, and two en route to the top. Photos via © Dag Jenssen. 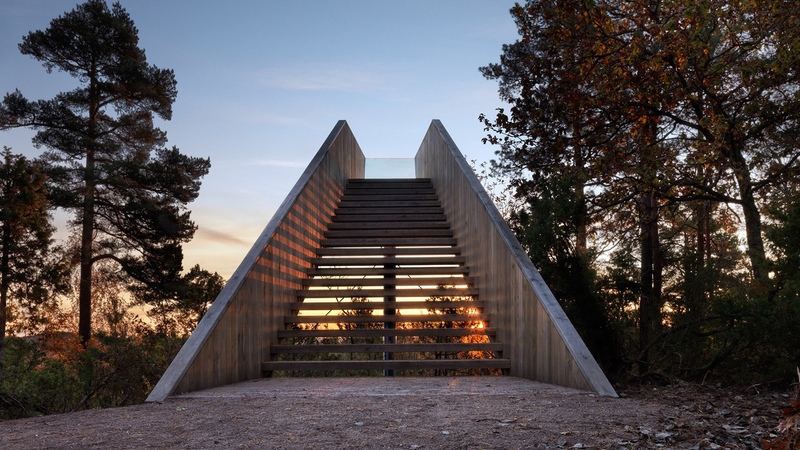 Also designed by Saunders Architecture, Stokke Forest Stair in Øye Sculpture Park, Norway, was completed in 2012. 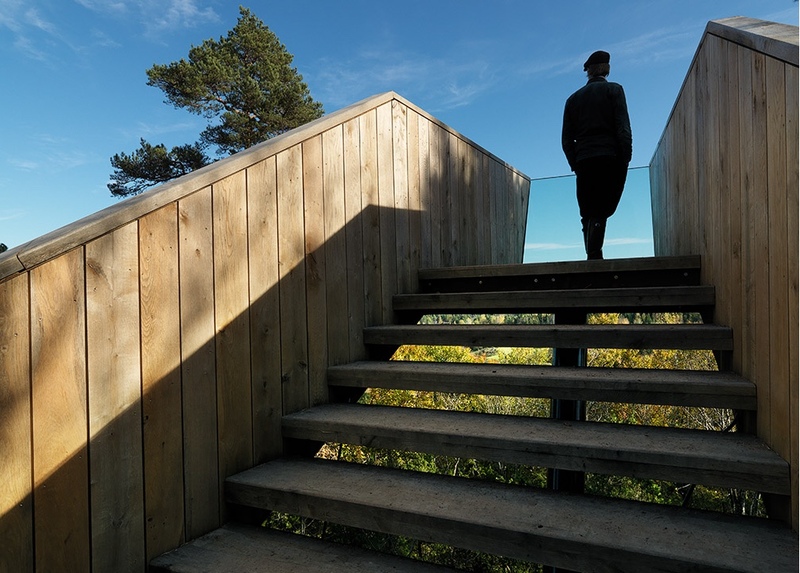 A clever woodland installation, the stairway provides the visitor with an elevated vantage point above the forest’s floor. 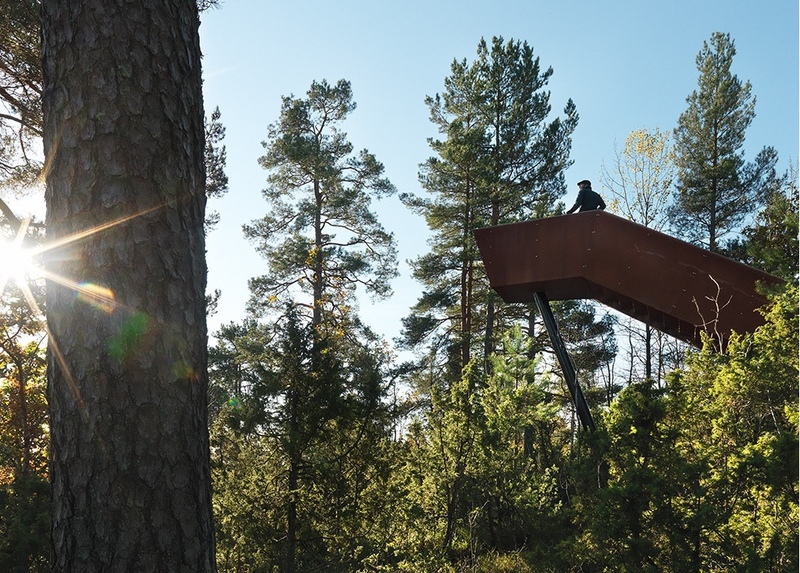 The Stokke Forest Stair was transported by helicopter, and a careful analysis of the site meant no trees were felled in order to accommodate the structure. 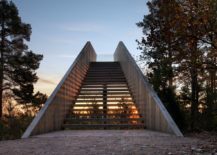 Stokke Forest Stair by Suanders Architecture. 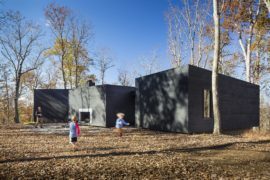 Photos courtesy of Saunders Architecture. 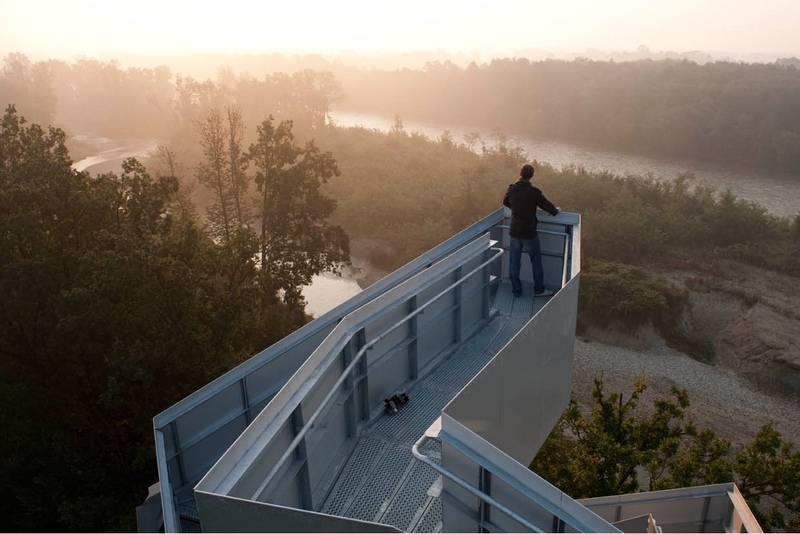 This observation tower rises above the river Mur at the Austrian border with Slovenia. 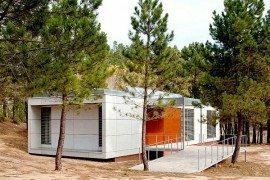 Completed in 2009, it was designed by Munich-based architectural practice for the city of Gosdorf in Austria. 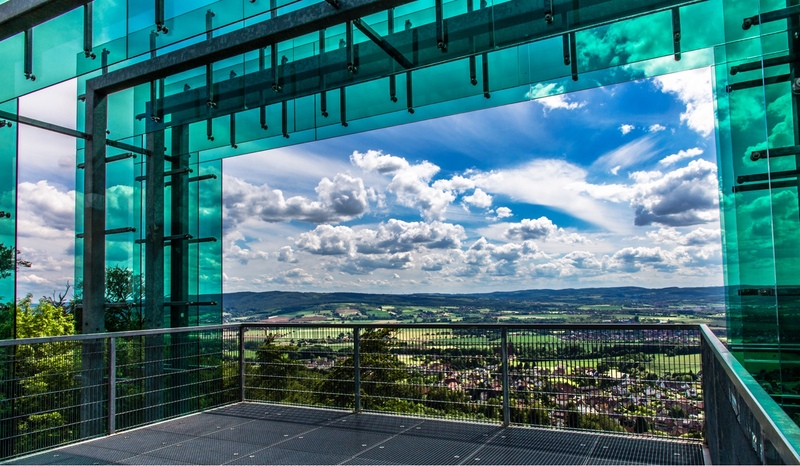 Made of steel and aluminium, the tower is intentionally incongruous in its Styria forest setting. 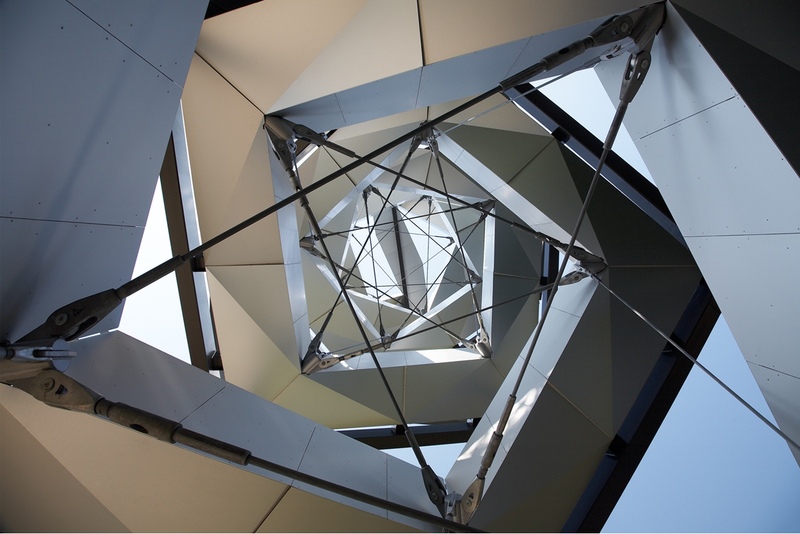 Visitors to the tower enjoy revolving views of nature, as they ascend and descend its double spiral stairs. 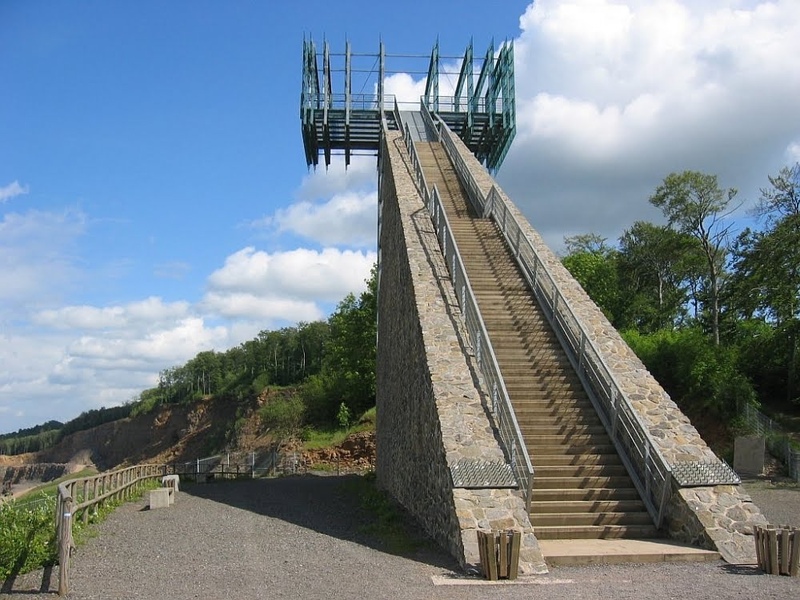 At its peak, a platform rests twenty-seven metres above the ground, offering views across the treetops of the wonderful riparian forest. Tower at the Mur River by terrain. Tower at the Mur River. It would appear that Norway is a country with many vantage points. 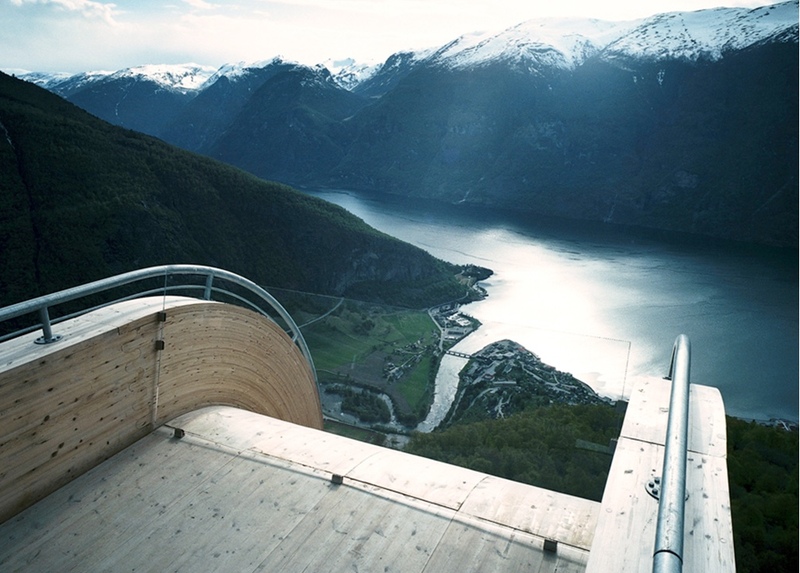 Utsikten—or ‘the view’—was designed by Oslo-based Code Arkitektur. The rather quirky triangular viewing platform perches at the top of Gaular mountain on Norway’s western coast. 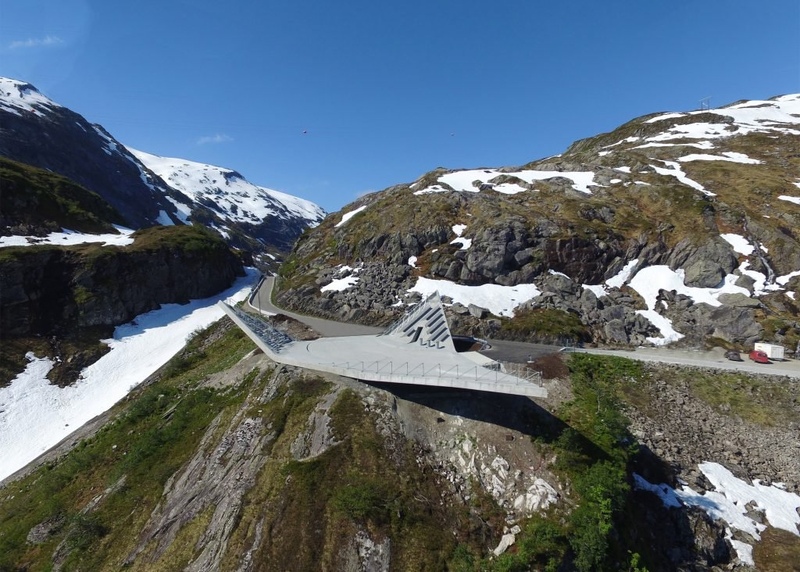 With its raised corners, Utsikten affords three different viewpoints. Photos by by Jiri Havran via . 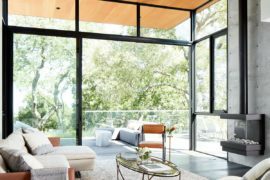 Forty-One Oaks: Contemplative Conservatory for Man and Nature!